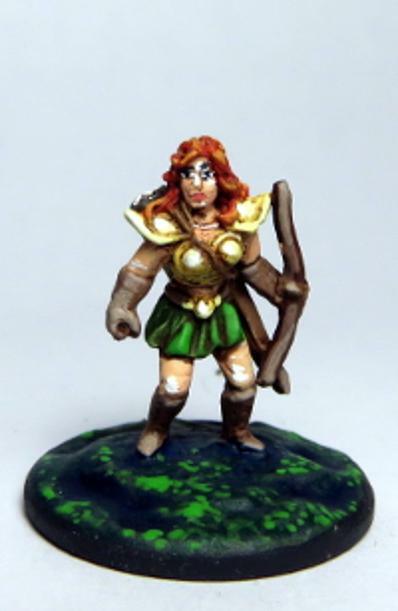 One of the most popular lines in the Armies of Arcana 15MM line. Inspired by pop culture and recent TV shows these are always popular on the gaming table. All figures are true 15MM and come unassembled and unpainted. Height measurements are from the bottom of the base to the top of the head unless otherwise noted. 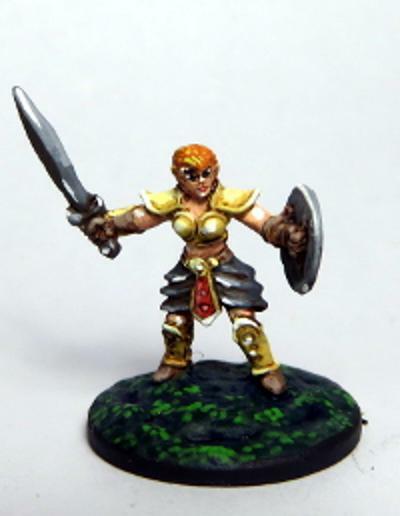 The standard foot soldier in the Amazons army. 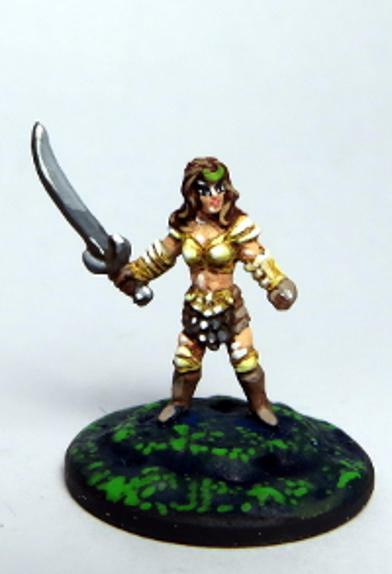 She stands 19MM tall. These warriors are seperate from there Panther mounts for easy customization and will fit the Chaos knight mounts exactly. She is 12MM tall from the base of the saddle. The leader of the Amazon Forces. 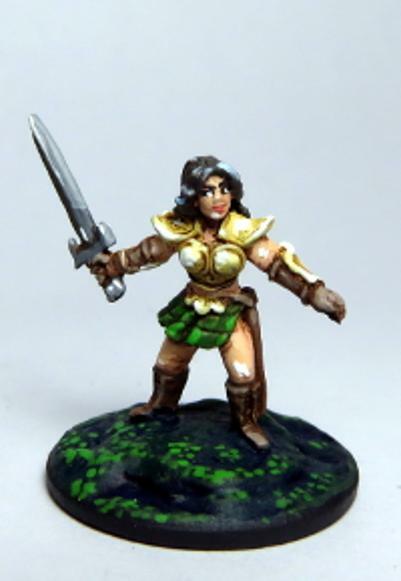 She stands 18MM tall. 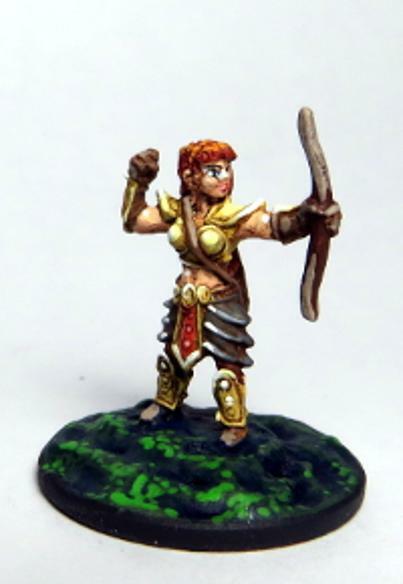 The spellcasters for the Amazon Armies. 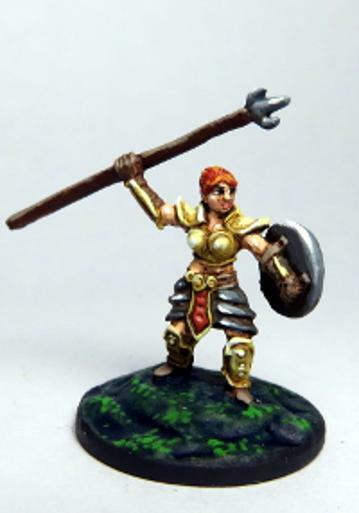 She stands 19MM tall. The elite fighters of the Amazon Armies. 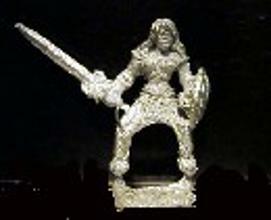 Stands 19MM tall. The gladiators of the Amazon world. 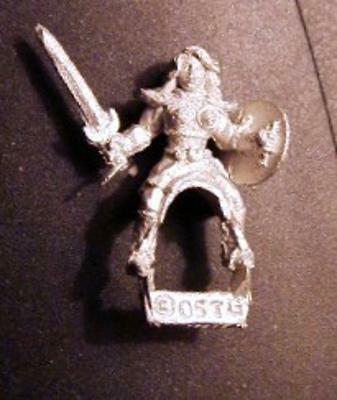 Stands 19MM tall. 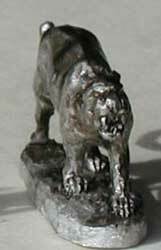 The nicely sculpted Panthers for making your own custom cavalry. These are 13MM at the shoulder and mounted on a 8MM x 24MM base. 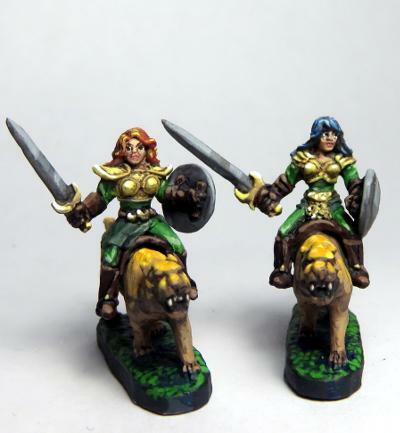 These Amazon Princess’s are seperate from there Panther mounts for easy customization and will fit the Chaos knight mounts exactly. She is 12MM tall from the base of the saddle. A sample of what the Amazons look like when mounted on there Panthers. These are availible seperately or packed together depending on your gaming needs.